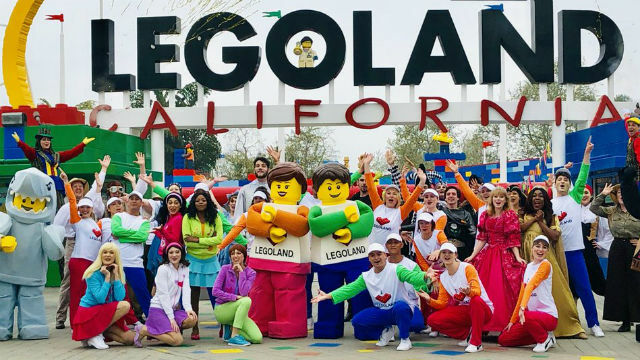 LEGOLAND in Carlsbad, the iconic Danish toy company‘s first American theme park, celebrated its 20th anniversary on Wednesday with a special opening ceremony. The anniversary was celebrated with entertainers, LEGO characters, stilt walkers, and a 10-foot birthday cake created out of LEGO blocks. Since opening its doors in 1999 with 12 rides and Miniland U.S.A., the family-oriented park has grown into a multi-day destination with more than 60 rides, shows and attractions, a 10-acre water park, an aquarium and two LEGO-themed hotels. To mark the anniversary, LEGOLAND is offering children aged 2 to 12 free admission on their birthday throughout the year. There are seven LEGOLAND theme parks around the world, including the original in Billund, Denmark.